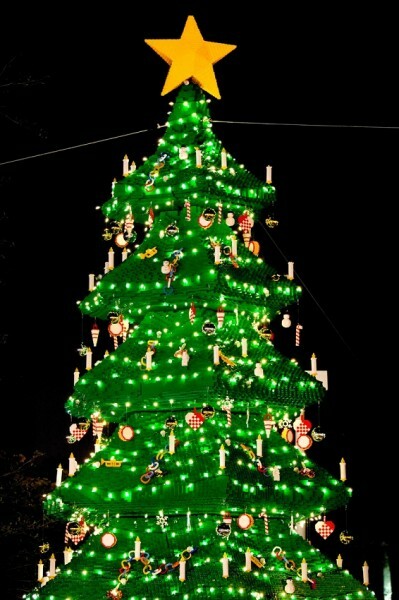 LEGO Christmas Tree: The more than 30-foot-tall LEGO Christmas tree made with a combination of 270,000 forest green LEGO and DUPLO® bricks provides the perfect place for every holiday family photo. Through Dec. 25, a special family will be chosen to help light the Bricktacular tree each night. LEGO Model Build Activity: What LEGO lover doesn’t want a chance to build while at Central Florida’s newest theme park featuring massive creations of the world’s most beloved toy? Help LEGOLAND Florida build a LEGO Christmas Tree in the Wells Fargo Fun Town 4D Theatre Plaza that will stand over 20 foot tall when completed. LEGO Santa and LEGO Toy Soldier: Guests will have meet and greet opportunities with LEGOLAND Florida’s special holiday friends, LEGO Santa and LEGO Toy Soldier. Holiday Festivities and Entertainment: Festive decorations and sounds of the season will fill the entrance of the park and a variety of holiday entertainment will take place throughout the weekend to delight guests of all ages.